Official Brulosophy Blend Available March 5! 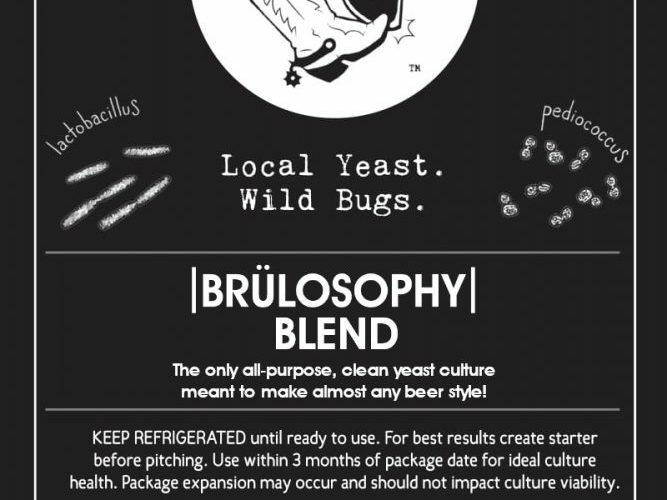 That’s right, we’ve collaborated with the crew at Brülosophy to release their first official yeast culture! 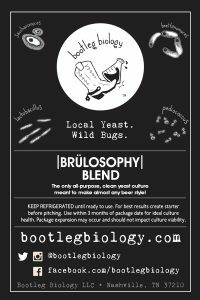 The Brülosophy Blend is the only all-purpose, clean yeast culture meant to make almost any beer style! German Lager? Check! American IPA? Check! English Ale? Check! Marshall and I first talked about coming up with a unique yeast culture at the 2017 Homebrew Con. It seemed like a crazy idea. How could a single yeast culture make so many different beers, fermented at a wide range of temperatures and still produce homebrew to style? After some serious discussion, we came up with a blend that we thought just might make that possible. Luckily, the Brülosophy crew had a crack team of Contributors who could help test this blend in several different styles of beer. The catch? None of them knew that they were all brewing with the same yeast culture, and most assumed they were given yeast that matched the specific style of homebrew they were making (English Brown Ale, American Porter, Hoppy Blonde, German Pilsner [cold AND warm fermented], and a New England IPA). Each Brü Blend beer was then given to a panel of tasters who were only told the style and nothing about the yeast culture used. They then rated each beer 1 to 5 based on categories like: perceived hoppiness, maltiness, attenuation, off flavors, style representation and overall enjoyment. The vast majority of tasters rated each beer highly in regards to style representation AND overall enjoyment! The results speak for themselves though. To get a more in depth breakdown of the results, check out the Brülosophy Podcast and stay tuned for the release of the Brülosophy blog post this week (we’ll update this post with links once they’re online). OK, I’M SOLD, SO HOW DO I GET THIS WONDEROUS PACK OF YEAST AWESOMNESS?? Your first chance to order The Brülosophy Blend is during our next Internet Pre-Sale, which begins Monday, March 5 at Noon CT and ends on Sunday, March 11. All orders will then ship the week of March 26. Don’t forget you can also pick up the All The Funk You Can Handle Pack and Quick Sour Combo Pack bundles for a discount. And since beer festival season is starting up again, don’t forget to get fitted in our new ultra-soft, and beer-geek approved Funk Weapon T-Shirt! Speaking of Homebrew Con, I’m ridiculously excited to announce that I’ll be moderating a panel this year on Spontaneous Fermentation. Sour Power! A Pro Brewer Spontaneous Fermentation Roundtable, will include an all star cast of accomplished brewers: Averie Swanson/Head Brewer at Jester King, James Howat/Founder & Blender at Black Project Spontaneous & Wild Ales, and Trevor Rogers/Owner & Brewer at de Garde Brewing. Homebrew Con 2018 will take place June 28 to 30 in Portland, OR. The panel discussion date has yet to be formally announced, but registration opens March 6. Stay tuned to the Homebrew Con website for more details on the Sour Power panel. This will be my sixth (!) Homebrew Con/NHC, and they are always a blast. If you plan on attending this year, please come say hello after the panel or attend the annual Milk The Funk Meet Up & Bottle Share (details TBD). 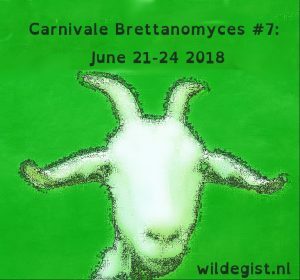 If you’re a European homebrewer/brewer into wild and sour beer, you probably have already heard of the annual Carnivale Brettanomyces. It’s a multi day festival that celebrates the wonders of wild, sour and traditionally-made beer and features some of the best brewers and breweries in the world! This year’s festivities will take place June 21 to 24, and Bootleg will be there! For a short time, we’ll have a small amount of Homebrew Cultures available during the festival. As well, I’ll be speaking about wild yeast, the Local Yeast Project, and how to capture wild yeast locally. Tickets should be available online soon.